Tying the knot? 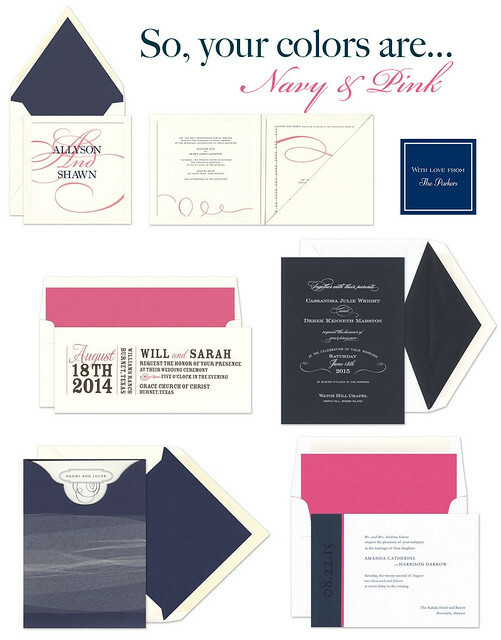 Tie your big day together by picking an invitation that incorporates your wedding colors! Over the next few weeks we'll be showing off a few of our favorite wedding invitations with popular color combinations and themes. Today we're showcasing classic navy with a twist of pink.